Hi there....hope you are having a great week! I just got back from a 4 day crafty retreat which was fabulous and boy, did I create my heart out! I have cards to show you for a few days for sure and some other things, too. 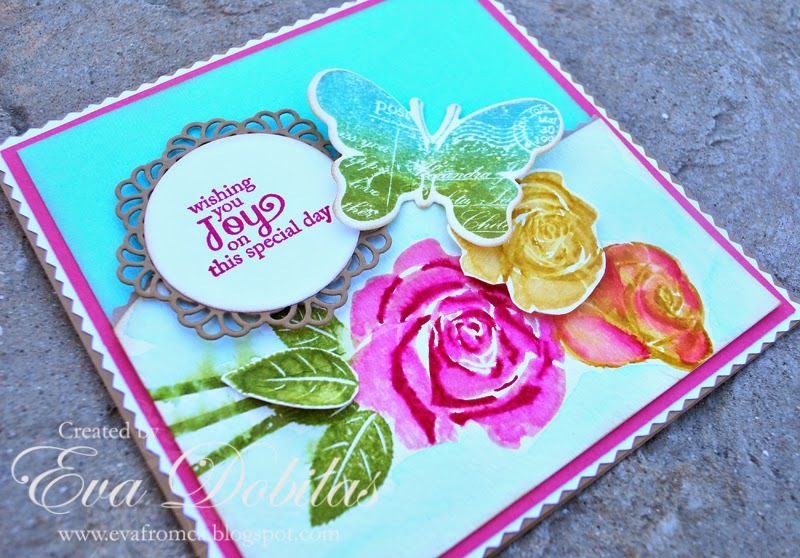 I won't share them all at once, but I am starting out with a sweet card using last week's MFT Card Challenge's sketch# 216. 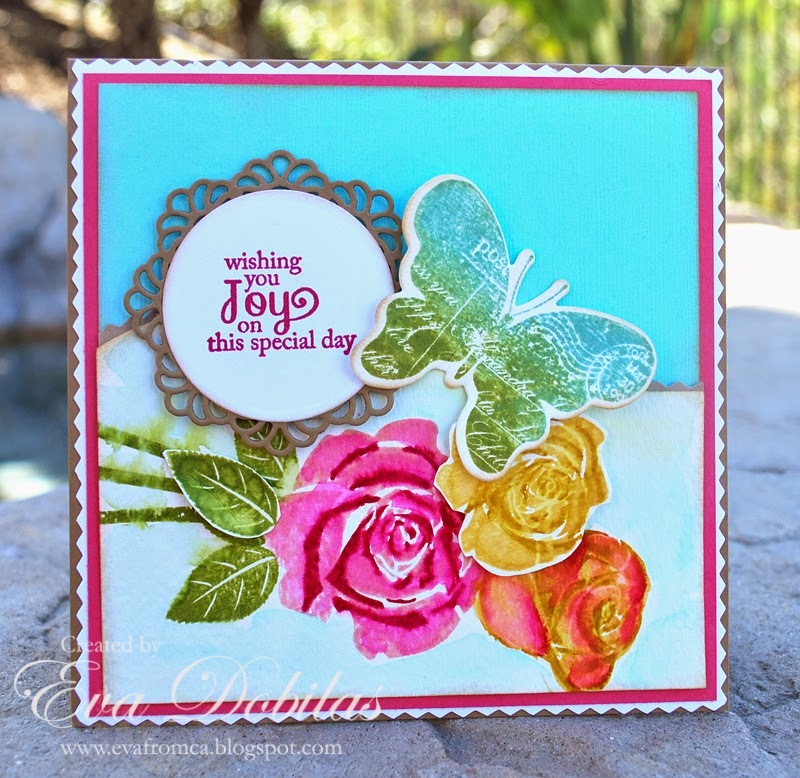 On this card I used two of Mona Pendleton's stamps, however they are not on the My Favorite Things site any more, so they might not be sold any longer. They are a roses and a butterfly set. I used dye based ink to stamp my flowers, however I went back with my brush and did some watercoloring with the ink. I used Spectrum Aqua Markers which I am loving very much. I also painted around the flowers as well. I guess there is one My Favorite Things item I can link here, which is my doily. Well, hope you like what you see. I sure had a super duper fun time creating it.